When you step into our well lit and airy retail showroom located in beautiful Portland, Maine you would never suspect that you’re in a pawn shop. When you visit Stinson & Company you will find friendly, honest and trusted professionals. 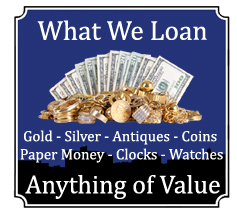 We are your best choice when it comes to buying, selling and loaning money on items of value. 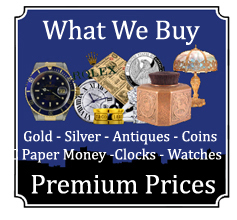 We pay premium prices for your unwanted valuables with no appointment needed. We will save you money or help you get the cash you need Monday through Friday 10am-5pm. We are closed Saturday and Sunday. Come in or call us today 207-805-1138. Stinson & Company is a non-traditional pawn shop. 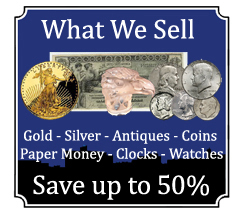 We offer the best prices on gold and diamond jewelry, coins and paper money, as well as antiques and collectables. We are always buying, selling and offering pawn loans on rare and unique items. We have 30 years combined experience helping people turn unwanted items into cash. We have the expertise to accurately evaluate all items of value. We will help you understand the current market value for your item(s) and get you the most money for your item(s). Stop in today and find out "What it's worth" no appointment needed.